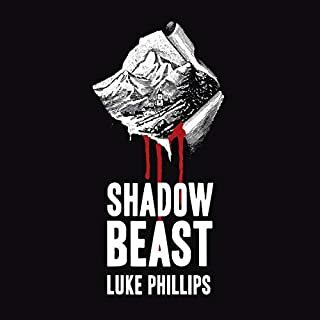 When John Simpson hears of a bizarre animal attack in his old home town of High Moor, it stirs memories of a long forgotten horror. John knows the truth. A werewolf stalks the town once more, and on the night of the next full moon, the killing will begin again. He should know. He survived a werewolf attack in 1986, during the worst year of his life. It's 1986 and the town is gripped in terror after the mutilated corpse of a young boy is found in the woods. Moral of the story- Don't piss off a werewolf. It takes more than silver bullets to kill a werewolf. Sylvester James knows what it is to be haunted. His mother died giving birth to him and his father never let him forget it; until the night he was butchered by a werewolf - the night a full moon ruined his life. 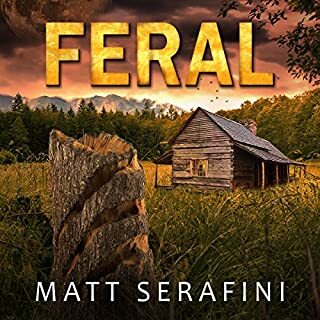 Enter cryptozoologist Dr. Ian McDermott, PhD, who struggles with his own personal demons as he uncovers the impossible and ugly truth behind it all - an evil more malevolent than anyone ever imagined. Loup-Garou is the first in the Ian McDermott, Paranormal Investigator series. Atmospheric, often beautiful, and always intensely scary investigations into what we were told as children were only myths and legends. 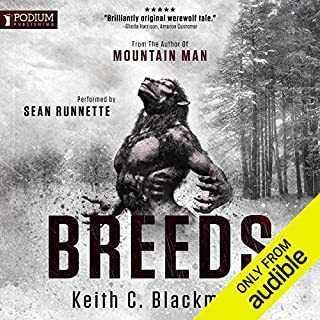 Oh I thoroughly enjoyed this unique take on werewolves!! I devoured this and didn't want it to end!!! Well the blurb covers the idea behind the story perfectly so I'll get straight to my thoughts. This would make an amazing movie. While listening to it I kept saying things like, "stop, don't do that." "Don't go in there." "Watch out" etc. It was such an engaging read (and I think what helped it be so was the narration and effects, which I'll get to in a bit) that I couldn't help but gasp at parts, pause it at others because it was scary and just enjoy the experience. Ian was such an awesome character. He has a degree in Cryptozoology and is called in to help in the investigation of disappearances in Mount St. Helens. Everyone is skeptical but think it's a Bigfoot doing the killings, which is why Ian is called in in the first lace. Ian himself is skeptical until they enter a cave and see a chamber full of bones and bits of humans. With mounting evidence of something supernatural doing it, Ian has his hands full finding who, or what is involved. Can he overcome his own demons and fight the one that's plaguing the town? The plot of this was fast paced and thoroughly entertaining. I loved the bits of humour thrown throughout the book and realy loved the lore of the Loup-Garou. The author has definitely put his own little spin on an age old tale and I can't wait to see where Ian's, and his dogs, investigations take him next. In all this was well written and developed book. The story unfolds at the perfect pace and with the bit of levity thrown in, it's a captivating and quick read. I highly recommend!! Now let's get to the narration. As I said before, I think I enjoyed this as much as I did because of the narration and sound effects. At first I was a bit thrown off with the effects but that quickly changed because it really added something special to the overall feel of the book. With the storm and the howls of the wolf in the background it amped up the tension and made my heart race!! Narrator S.W. Salzman was awesome also. He had so many different tones and accents that it was no problem to follow who was talking. Definitely one to watch. 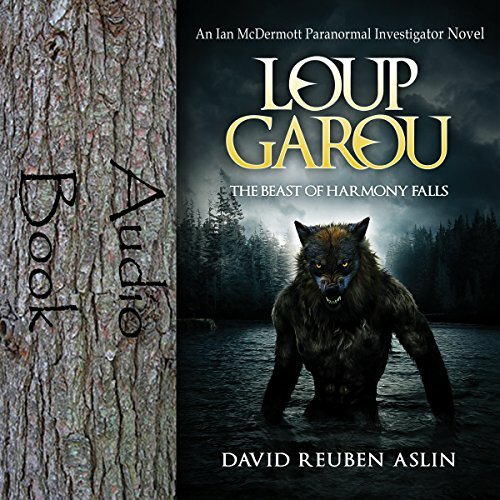 Would you listen to Loup-Garou: The Beast of Harmony Falls again? Why? Absolutely! Loved the creepy atmosphere and loved the characters. The creepy feeling. The author captured this very well. And I have to admit, I grew very fond of the characters. Have you listened to any of S.W. Salzman’s other performances before? How does this one compare? An overall awesome story. Really loved it. I am going to highly recommend this to other people. The story started out a little slow but ends with a fantastic ride. This isn't a normal werewolf story. Lots ps thought and research done for this audiobook/book. What did you like best about Loup-Garou: The Beast of Harmony Falls? What did you like least? Did S.W. Salzman do a good job differentiating all the characters? How? Do you think Loup-Garou: The Beast of Harmony Falls needs a follow-up book? Why or why not? Narrator did a very good job keeping each character distinct. Figuring out who the werewolf was happened a little too quickly and easily, but a good story nonetheless. Straightforward horror: The classic meets modern. Needed the monster to have more of a modern twist. What does S.W. Salzman bring to the story that you wouldn’t experience if you just read the book? He brought nuance to otherwise simple 2-dimensional characters. The sound effects enhance the horror described in the book. The remote setting comes to life by the simple, yet effective details. I could feel the fear being described. 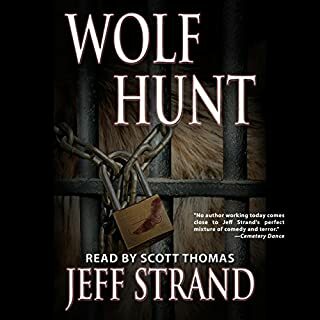 Where does Loup-Garou: The Beast of Harmony Falls rank among all the audiobooks you’ve listened to so far? Once the story got going, it was engrossing. I became attached to certain characters and truly felt the camaraderie between them. What about S.W. Salzman’s performance did you like? He did well with all the characters, giving them their own voices, accents and inflections. I don't want to go into detail but it involves the Sheriff. The book starts slow and I am not sure how I feel about the sound effects. 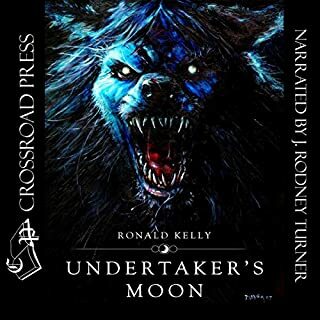 This is the first audiobook I have heard with sound effects included. Some of the noises were distracting and the voice recordings had a slightly tinny echo to allow for background media. Loved it!! There are sound effects and music in the background that just adds to the experience. I felt that it built its pace slowly but once it drew me in, it was a brilliant story. I really liked that whilst it is obviously going to be a series (title says book 1) that we got conclusion in a story rather than it just setting us up for another book. Don't get me wrong I want to read another book but its nice to get a story as well. 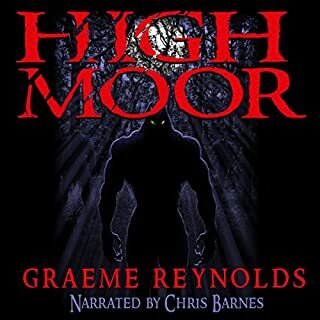 So with that in mind, I enjoyed it, great story, certainly a great audiobook! The descriptions of everything from the beast to the general environment are vivid and draw you into the story. Which character – as performed by S.W. Salzman – was your favourite? Ian McDermott as the lead is the easiest to pick out. Great characters in general but I always find that it is essential to relate to in some way and like a main character. Ian is great. The best description I can give is that the book is intensely atmospheric and visual in its writing. I really enjoyed it. I thought that the narration also complimented this well.